A Home on the Range interprets the history of homesteading through its vernacular architecture, material culture, and cultural landscape. The project consists of several major components including National Register nominations, illustrated brochures, three driving tours which correspond with three podcasts, three roadside informational kiosks, and associated website pages. Homesteading was an essential part of the settlement of Colorado, with 107,618 homesteads claimed statewide. Colorado is behind only Montana and Nebraska in the total number of acres homesteaded (22,146,400). Thirty-three percent of the land in the state was settled under the Homesteading Acts. The establishment of these homesteads tells the story of the Homestead Acts, westward expansion, agricultural development, and ethnic diversity. The abandonment of the majority of the homesteads during the 1930s tells the story of the Great Depression, the Dust Bowl, and the environmental consequences of dryland farming techniques. Driving tours, podcasts, interpretive signage, a publication, and web pages will present the homesteading story of southeast Colorado. The interpretive materials will focus on the development of the Purgatoire River Region from the 1860s through the 1940s. The interpretative themes developed will show how the events of the past have shaped today’s landscape and how many of the issues of the past continue to have relevance today. The region’s history will be used to explore several issues of current interest. These include the role of water (and lack thereof) in the development of the West, the sustainability of food production, and the survival of multi-generational family ranches that serve to successfully preserve the history and heritage of the region. The earliest ranches and operations this project will interpret are in present-day Otero County; however, at the time of their establishment, Bent County covered the area. The history of homesteading in this area is not restricted to one or two counties; rather the project interprets the entire region. Project content is based on Colorado Preservation, Inc.’s multi-year undertaking in partnership with private landowners to survey architectural and archaeological resources on private lands in the Purgatoire River Region (including southern Otero and eastern Las Animas Counties). The project included a reconnaissance-level survey of more than 200 homestead sites, an intensive-level survey of selected resources, and a historic context study identifying significant themes in the development of the area. National Register nominations include nomination of five homestead districts to the National Register of Historic Places. These five were chosen as exceptional examples of sites fully documented by architectural historians and archaeologists detailing how sites related to the homesteading movement. 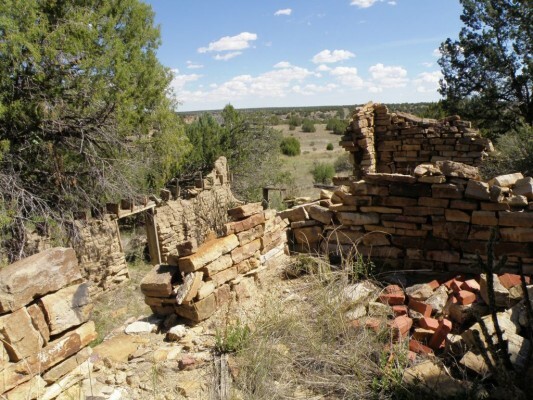 All of the sites included architectural and archaeological remnants illustrating how homesteaders of the late-19th and early-20th centuries lived. Another component to the National Register portion of the project is a Multiple Property Documentation Form, which provides a detailed context study of homesteading resources in the area. This comprehensive document also provides a basis for future National Register nominations in the area, giving guidelines for eligible sites. The homesteading publication will be designed for heritage tourism and will be distributed at Colorado Welcome Centers, the Denver Public Library’s renowned Western History center, local libraries, museums, schools, motels, and restaurants. Printed brochures will be distributed to interested sites, free of charge, as well as a downloadable PDF on CPI’s website, coloradopreservation.org. The brochure will provide an overview of westward expansion in the region, and how it has shaped the current ranching industry so prevalent in the area. A combination of current and historic photographs will be used to illustrate the brochure. Driving tours will be developed along the three primary roads through the region, Highway 350 (the Santa Fe Trail Scenic and Historic Byway), Highway 109, and Highway 160. The driving tours will address three themes of the project: Homesteading, Ranching, and Transportation. They can be accessed either at La Junta or Trinidad. Driving tour brochures will be distributed through Welcome Centers in Trinidad and Lamar as well as through local museums, historic sites, and motels. A downloadable version will also be available through Colorado Preservation, Inc.’s website. The transportation tour will follow the path of Highway 350. Interpretative signage is available along this route for the history of the Santa Fe Trail, noting local wildlife, with signs at the Iron Springs Historic Area, Timpas Picnic Area, and Sierra Vista Overlook. However, there is no interpretation of the post-trail period, when the railroad became the spur to development along this route. The towns along Highway 350, such as Model, Delhi, Tyrone, Thatcher, Timpas, and Bloom, have experienced diverse histories over the past century and a half. Some began as stage stops along the Mountain Branch of the Santa Fe Trail, with names like “Hole in the Rock” or “Hole in the Prairie.” Once the Atchison, Topeka and Santa Fe Railway (AT&SF) was built along the same route as the Santa Fe Trail, these towns became railroad stops. Mail was delivered, cattle were transported, and manufactured commercial goods became readily available through the railroad. The enlarged Homestead Acts of 1909 and 1916 inspired a settlement boom and the communities became social and economic centers for the new arrivals. The communities were often no more than a store, gas station, school and a handful of residences to serve large agricultural communities. In 1912, the area was full of optimism and the Model Land Irrigation Company planned the ideal irrigated community, Model. However, the 1920s and 30s were full of tumultuous weather and economic depression, causing a sharp decline in population and the abandonment of many towns. The homesteading tour branches off Highway 109. The Purgatoire River runs through the valley. The relatively narrow valley and the road running through the middle of it (the only route through the valley) make it an ideal route for interpretation since topography confined settlement and building to a condensed area easily visible from the roadway. The availability of water and the protection offered by the canyon made the Higbee Valley attractive to settlers and thus it was one of the earlier areas settled. Higbee’s first post office was established in 1872. Sites interpreted on the tour will include the Higbee Cemetery, homesteads (both abandoned and still occupied), the Higbee Dam and Nine Mile Canal, and the community of San Jose Plaza. The ranching tour provides a closer look at flat prairie expanses, a very different experience than in the Higbee Valley. The homesteaders in the area raised cattle, tried farming, and supplemented their income through dairying. Butter was taken to the post office, from where it was shipped to Branson, and then put on the train to Trinidad. Sites interpreted on the tour will include old school buildings and homesteads. There are also several New Deal projects in the area including numerous WPA-built stone bridges and culverts. These will tell the story of government efforts to help those hit hard by the drought and dust storms of the 1930s. Podcasts will be produced for each of the driving tours, containing site-specific historical information including interview segments relating to sites along the routes. Podcasts will provide an opportunity to share personal histories of the area by establishing the connection between the homesteaders of the past and the ranchers of today through stories of the cultural landscape. Each podcast, 15-20 minutes in length, will cover topics such as what drew people to the region, the development of transportation in the region from the Santa Fe Trail to the New Deal road improvements of the 1930s, homestead construction, environmental history and land management, cattle ranching, sheep grazing, women homesteaders, and Hispanic heritage. The podcasts will be framed around issues and themes that shaped America’s settlement of the West, presented in a local context. The content of these podcasts will be drawn from oral history interviews conducted specifically for this project and augmented with narrated excerpts from memoirs, journals, newspaper articles, and other primary sources. A series of web pages will be developed on Colorado Preservation, Inc.’s website to tell the story of homesteading in the Purgatoire River Region and will host downloadable versions of the driving tours and podcasts.